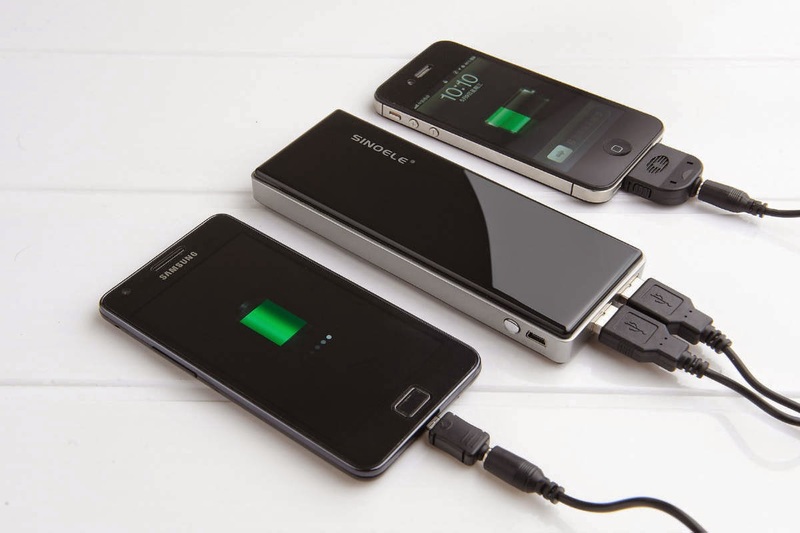 IT-Market: Now Battery can be charged in 1 Minute. Now Battery can be charged in 1 Minute. Our smartphones have become more advanced and power-hungry over the last few years, scientists have been looking at ways to improve battery life for some time. Finally they have come with cheap, long lasting and quick to recharge batteries. This is the battery for your phone you have been waiting for. New battery technology uses aluminium and graphite, and promises to make charging much quicker, less often and far safer. Stanford University researchers have developed an ultra-fast charging aluminium battery. Conventional alkaline batteries are bad for the environment while lithium-ion batteries used in millions of laptops and smartphones can unexpectedly burst into flames and take a long time to charge. However the new battery is fast-charging, long-lasting and inexpensive. It is also flexible too and can be used in new folding devices in development. The prototype consists of a soft pouch, containing aluminium for one electrode and a graphite foam, a sponge-like pattern of tiny whiskers of the stuff, surrounding many empty pockets, which allows ions in the electrolyte solution very easy access to the graphite, helping the battery to work faster. Because it is lightweight and inexpensive, aluminium has attracted interest from battery engineers for many years, but it has never yielded a viable product. The trouble for engineers has been finding the right material to pair with aluminium, a material capable of producing high voltage especially after multiple cycles of rapid charging and discharging. Graphite, a form of carbon in which the atoms form thin, flat sheets, turned out to deliver very good performance, while also being similarly lightweight, cheap and widely available. It offers safety advantages over lithium batteries that power most mobile devices, the materials used are less volatile and do not catch fire if perforated. Lithium-ion batteries can be a fire hazard. While lithium-ion battery can take hours to charge, the new battery recharges in one minute. Also the electrolyte is basically a salt that's liquid at room temperature, held inside a flexible polymer-coated pouch, so it's very safe. This is in contrast with the flammable electrolytes used in lithium-ion batteries. The new battery can be recharged around 7,500 times. Typical lithium-ion batteries used in everything from smartphones and laptops to electric cars last around 1,000 recharge cycles. Another feature of the aluminium battery is flexibility. You can bend it and fold it, so it has the potential for use in flexible electronic devices. The battery can generate around 2 volts of electricity, which is less than the 3.6 volts from a conventional lithium-ion battery, but the highest achieved with aluminium. Its energy density, the amount of electrical energy stored in a given unit of mass, is also lower. The aluminium-ion battery developed has an energy density of 40 watts per kilogram compared to between 100 and 260 watts per kilogram for lithium ion. However, improvements in the cathode material could eventually lead to a higher voltage and energy density, the researchers believe. But the team already managed to charge a smartphone in a minute by strapping two aluminium batteries together and put them into an adapter. According to Clare Grey from the University of Cambridge, turning the prototype into a larger commercial product is challenging. One problem is that the process of squeezing ions in between the graphite sheets can cause the material to expand and contract, which is "bad news for the battery”. Also, the bigger the graphite sheets are, the further the ions have got to diffuse in, so the slower it gets. So part of reason it's got this high rate is that it's got very small platelets of graphite. Beyond small electronics devices, it can be used for storing renewable energy on the electrical grid, which could solve some of the current problems presented by inconsistent renewable sources like wind and solar. Lithium cells’ durability means they aren't ideally suited for this application. But aluminium cell’s ability to last for tens of thousands of charges, and their rapid charge and discharge, offers a possible future alternative. In the video Stanford graduate student Ming Gong and postdoctoral scholar Yingpeng Wu demonstrate how the new technology could offer a safe alternative to lithium-ion and other batteries. Its unprecedented speed in charging makes it attractive and impressive. It has all features a dream battery would have: inexpensive electrodes, good safety, high-speed charging, flexibility and long cycle life. This technology shows a promise which is unlikely to be featuring in our smartphones any time soon. It’s sure that these environment friendly aluminium-ion batteries could result in safer consumer electronics in future. Surgery Assisting Robots From GOogle...!!! !